Most people correctly assume that SCUBA diving has been a life long passion of mine. Many people may not have guessed that I began diving at the age of 10 and was literally writing my certification test on my 12th birthday. 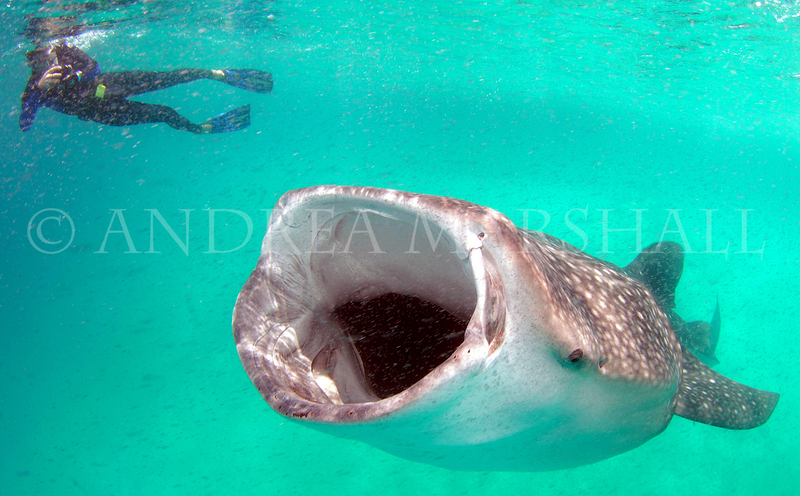 To say that I was a little over eager to get underwater would be a massive understatement! 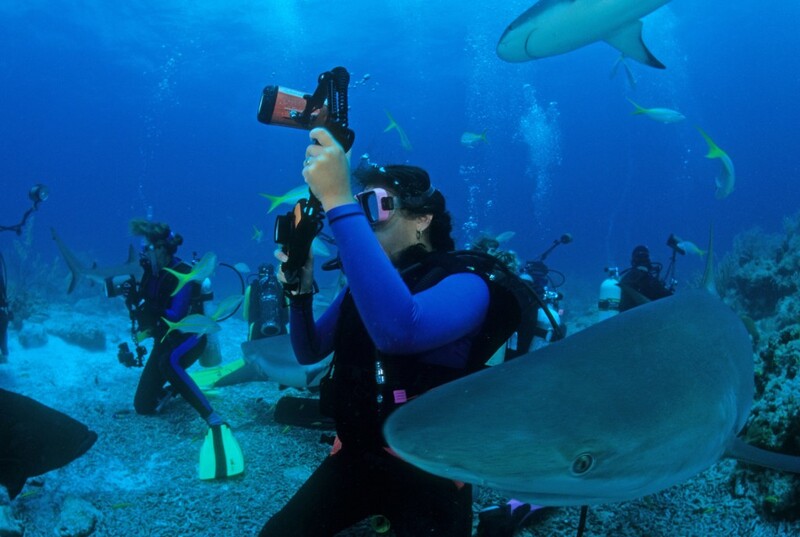 My 15-year old self on my first photo course with sharks in the Bahamas taught by my mentor Tom Campbell. In a desperate attempt to share this intense passion with others I took up underwater photography at a very young age and was fortunate enough to be tutored by the likes of Tom Campbell and David Doubilet before I even turned 15. Despite a genuine passion for the art, I felt strangely unfulfilled after my slides had been developed, catalogued and organized. It was fun to pull them out every once and a while and reminisce, but I distinctly remember wanting to use the images that I was taking for some larger purpose- after all, so much time and energy had gone into taking them! As a budding scientist in graduate school, a similar feeling surfaced at the completion of my first few research projects. I would spend long hours making observations in the field and it would take months to write a thesis summarizing my findings. It felt very unfulfilling when the reports I had worked so hard on were seen only by my professor and ended up collecting dust on a bookshelf. Something was missing. I wanted to see something become of my research. I wanted to do science but I also wanted to connect with the public and be an educator. Over the course of my career these type of frustrations eventually came to a head and one day my research partner, Simon Pierce, and I had a light-bulb moment. 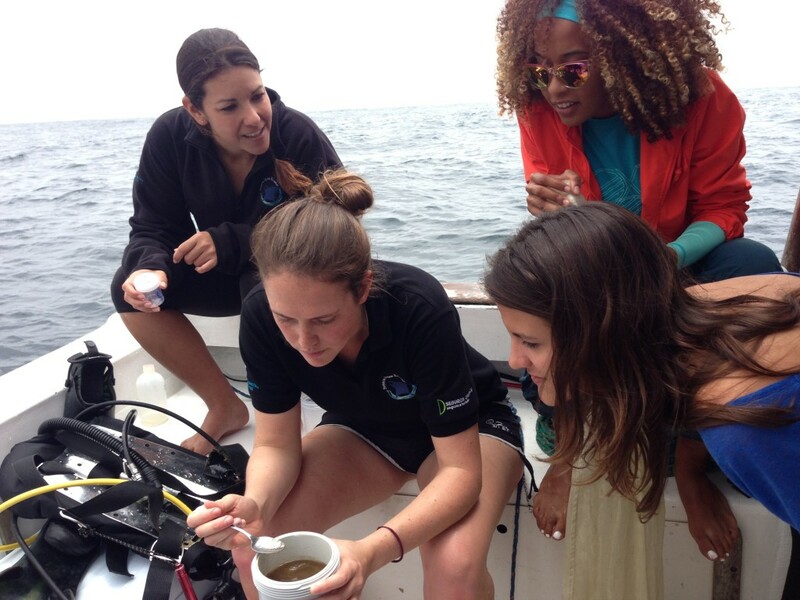 The Marine Megafauna Foundation’s ‘citizen science’ program was born. Citizen science at its best with a group of awesome ladies in Ecuador! We all know that collective strategies are typically more productive and meaningful than singular efforts. Likewise multi-disciplinary approaches, which draw on a variety of skills, tools and methodologies, often lead to more comprehensive solutions. Recently, a growing movement towards shared research efforts, open sourced resources and projects with global scope has been gaining momentum across the globe. There has always been a need for creative, multi-faceted solutions to wildlife conservation issues and I had been keeping close tabs on many approaches for years. For Simon and me, the last piece of the puzzle happened to be ‘citizen science’. 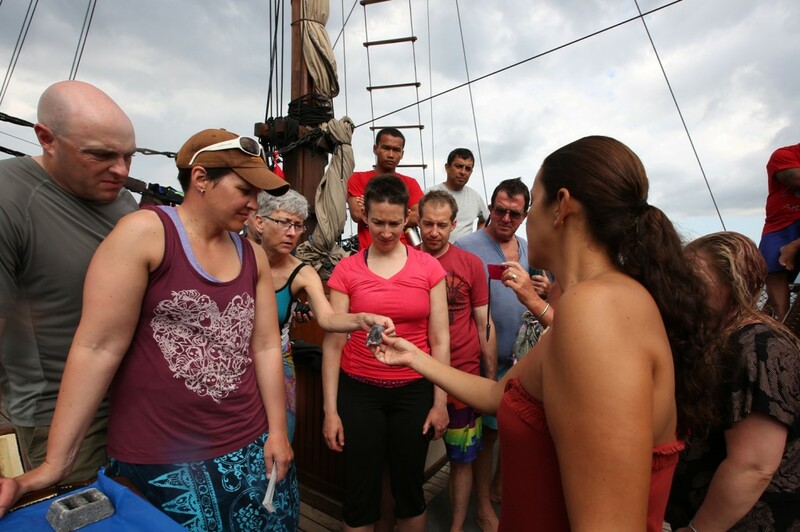 Citizen science in action on one of my bespoke Ray of Hope Expeditions in Indonesia! Looking back, the concept seems relatively simplistic, but connecting the public with research and conservation efforts is an ongoing challenge that is not always as easy as it sounds. Approaches often include: the use of social or traditional media to create greater awareness, the use of captive animals to engage and educate, and experienced based learning programs in the field. These types of approaches all aim to connect people with wildlife and the natural world and help the public relate to current conservation issues. However, a more recent option involves bringing ordinary members of the public into the heart of research and conservation through ‘citizen-fueled’ science programs. By opening these traditionally specialist fields, and making them more appealing and accessible to the public, these initiatives stand not only to educate a broad audience but they also have the added benefit of accessing untapped data sources and harnessing near-unlimited volunteer manpower. At its core, the intention of ‘citizen science’ is to bridge the gap between field researchers needing data and an enthusiastic army of citizens with the capacity to deliver the needed information. Our epiphany came when we realized that we could use the SCUBA divers of the world to help gather data on threatened species of marine megafauna, like whale sharks and manta rays. My team had been using photography to research these ocean giants, but data collection had been tediously slow, expensive, and isolated to the regions we were living. In 2012 I helped develop the first global online open access database for manta rays, a collaboration between MMF and ECOCEAN USA (now WildMe) an organization that has to date successfully developed many of these online Wildbooks. Manta Matcher, the Wildbook for Manta Rays, stands to revolutionize manta ray research by tapping into a broad base of contributors globally, and centralizing data in an open access platform that encourages collaborations between research groups. 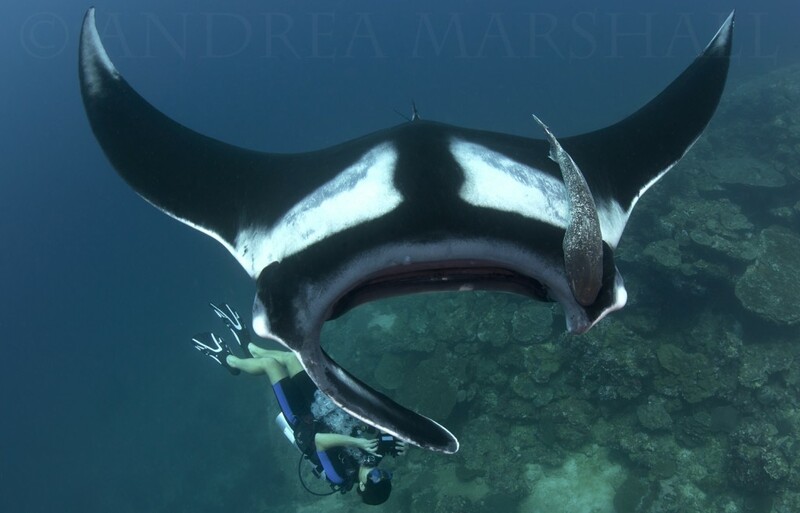 The ultimate scientific goal of this initiative is to track global trends, increase ecological knowledge of manta rays, and gain a broader perspective of the species’ immediate conservation needs. The Manta Matcher website is fun and easy. With over 25,000 encounters with manta rays logged this remains the largest public online database for manta rays in the world! Pushing the philosophy of ‘citizen science’, Manta Matcher encourages ordinary citizens to pick up a camera and contribute to a global scientific effort. The website is fun and easy, providing participants with the skills needed to collect meaningful data for research, and engages them through active participation in data upload and long-term wildlife monitoring. It is everything that I dreamed of contributing to back when I was a new diver. Plus it manages to connect the public to scientific efforts as they unfold, something I had been craving as a researcher. 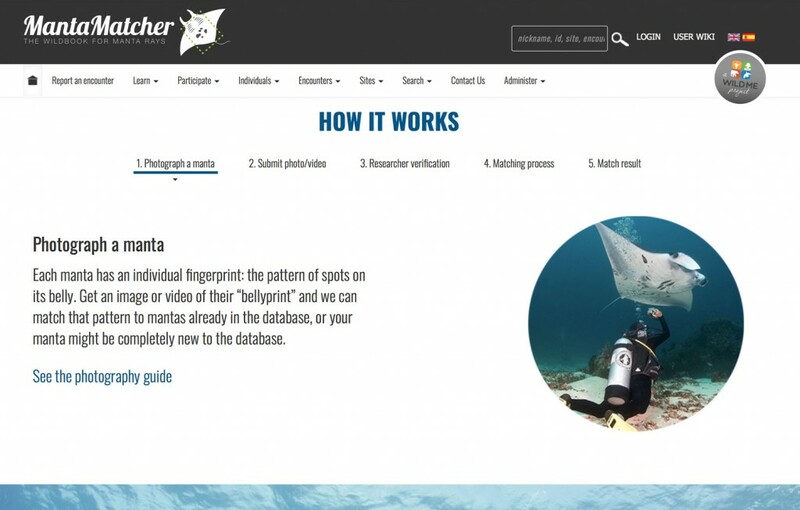 While Manta Matcher may have started as a creative way to collect broad-scale information quickly, it has turned out to be a tremendous educational tool as well, creating a win win for everyday divers and manta researchers around the world. 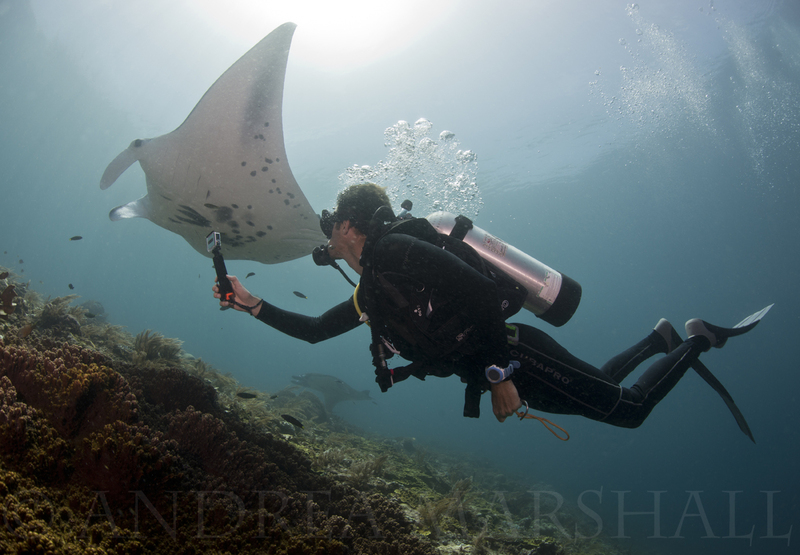 A newly trained citizen scientist takes a perfect ID shot of a giant manta ray in Thailand! Impressed? You should be, he is barely a teenager! 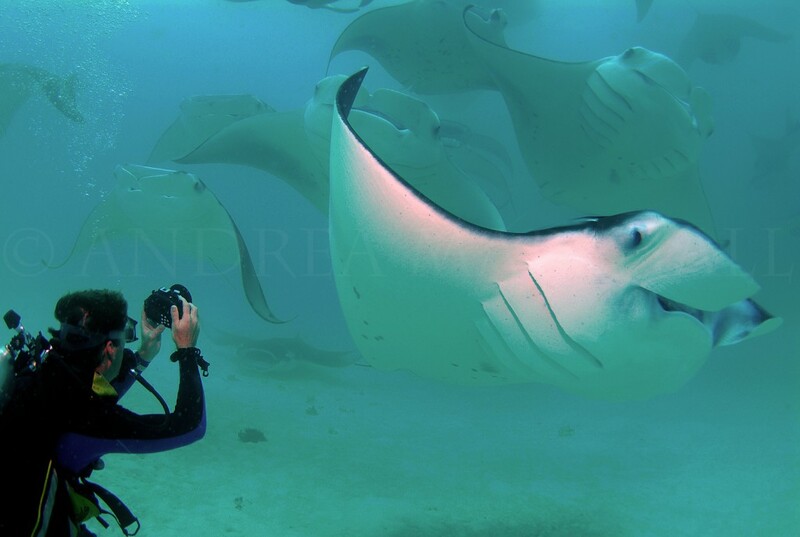 My experience with creating and managing Manta Matcher has shown me that citizen science programs have the ability to unite communities all around the world through common interests and shared passion. It has revealed how much more we can achieve as scientists when we break down traditional barriers and invite the public to participate in studies of our natural world. I have renewed hope that we can and will address the critical conservation issues of our time by working together and by inviting people from all walks of life to be a part of the solution. I love this idea of connecting citizens and science! Scientists are doing amazing work but most of the time the general population has no idea… Lack of access and even when it is available dense, hard-to-understand-language in the papers puts up a barrier. Bridging the gap helps build connection- and seems to have sped up your collection process! 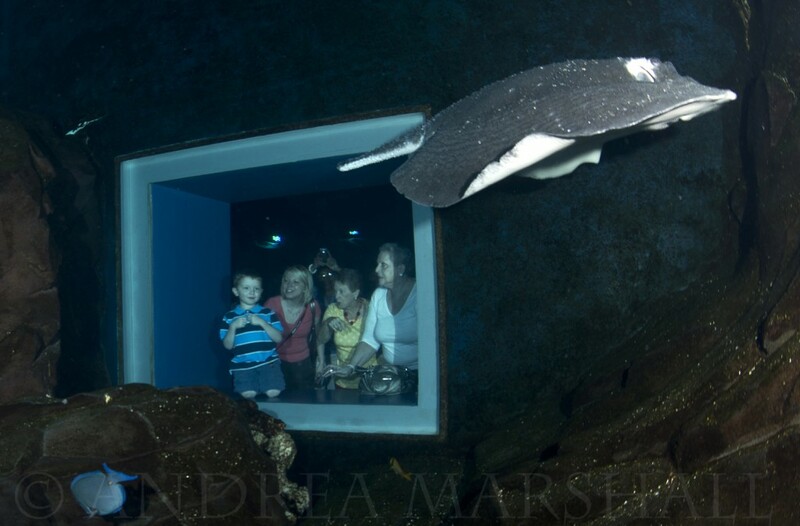 Conservation projects like this, which bring awareness to the public and help to both educate and involve them are so incredible and so incredibly important for the conservation of our marine megafauna now and into the future. This research is thus invaluable, as well as awe-inspiring. Absolutely incredible! I’m researching your efforts in ocean conservation for a project in my Spanish class, and I must say that you are an incredibly inspiring person and I aspire to be as caring about the environment and as accomplished as you someday. I especially find your expeditions with the Ray of Hope foundations incredibly interesting and would do ANYTHING to go with your team to Myanmar and Thailand, except for the fact that I can’t SCUBA dive 😉 Thank you for being an incredible person and advocate for those who cannot speak for themselves! Claire, that is so sweet. Thank you for your kind words and for your support. It made my day.